a varied and balanced diet and healthy lifestyle. 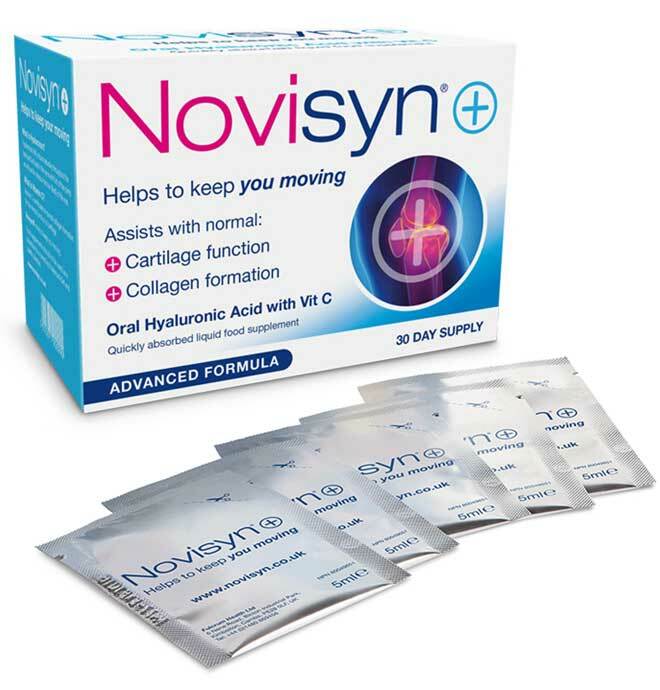 Novisyn+ scientifically developed oral Hyaluronan with added vitamin C to keep your body moving. 30 x 5ml sachets.